For December’s Artist of the Month we’ve selected Ellie Collins and Marc Renshaw who, as well as having their own artistic practices, collaborate together on ‘…Blip: a space for Art’. My work often begins with writing and this becomes the catalyst for sound, film and objects that invite touch. The end result is usually an immersive installation that responds to the original narrative. The sensory nature of lived embodiment is a continuing theme and I’m interested in embracing futility and failure in pursuit of something ever richer, more abstruse and irregular. 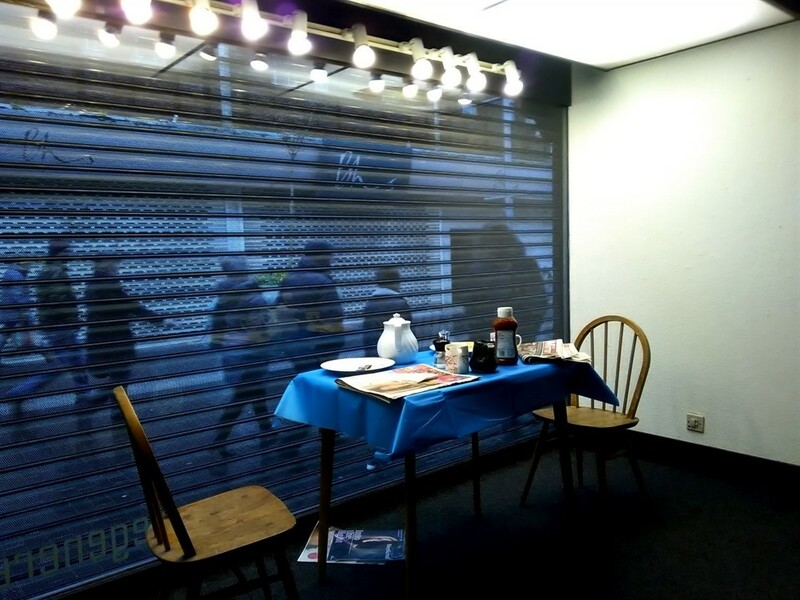 At …blip the work is viewed through glass so it’s at a physical remove from the audience as they walk by on the street. This has forced a departure as it places limitations on my usual work, so I’ve needed to adopt a more conceptual approach. Drawing has been central to my practice for many years. I’ve always had a compulsion to create images that I often combine with text. I’m constantly engaged in making artwork, and have in recent years used digital drawing processes increasingly as a primary tool of trade. Themes such as loss, success and failure weave their way in and out of my practice where drawing serves an autobiographical or cathartic function. I’m drawn to non-places and nowhere spaces; transitional zones such as business parks, airports, motorways and service stations in the futile hope that they will somehow provide a neutral platform in which to immerse oneself in the emptiness of failed capitalism. How does collaborating benefit your practices? …blip is the first formal collaboration we’ve shared with an audience in the 23 years since we met. That’s not to say we haven’t ever worked jointly, we do it in the form of a series of ongoing and evolving conversations that help us reflect and develop our work. Our most enduring shared-project is Brinks, conceived from the perspective that an artist’s job is to notice things. Brinks are the things we see every day on our commute to and from work. Grunge Girl, the wonky lamp post, the illuminated bollard on the edge of the village that outstayed its time, the man and dog who seem unusually affected by gravity, Musical Road… Brinks are born of a desire to stop time as we confront the sense of loss derived from knowing that ‘now’ will inevitably become ‘then’. 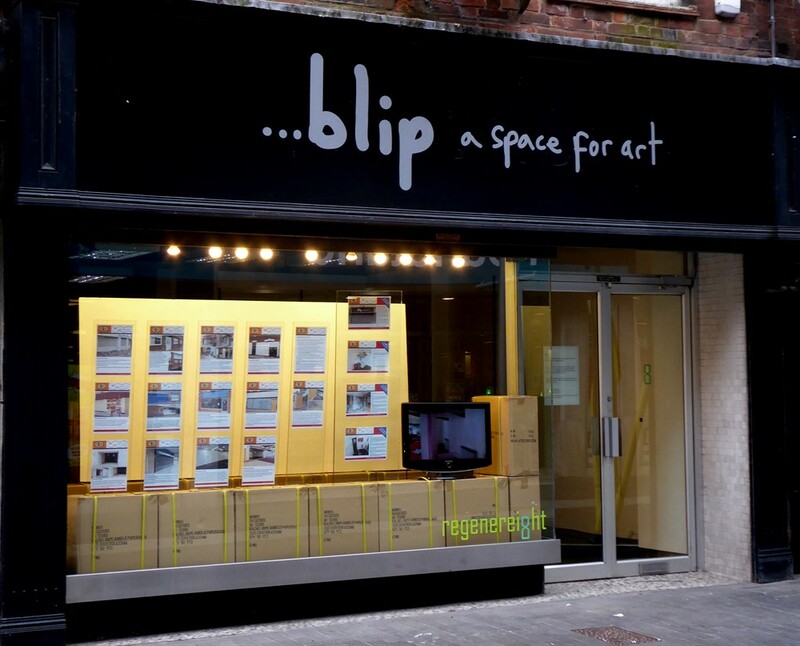 Tell us about …Blip: A Space for Art. How did it start and what type of projects do you do as part of the space? …blip began when we saw that Axisweb had a couple of available Vacant Spaces in Grimsby. We went to look at the shop with a really open mind. When we learned more about Vacant Space we liked the totally flexible nature of the arrangement, with no fixed terms of engagement or specified outcomes. This has enabled us to work completely intuitively. A year on, we’ve shown six installations, all of which have been activated in some way, from inflating and deflating sculpture to film, sound and stop-motion animation. We collaborated early on with London-based artist Tracey Payne whose urban perspective gave us fresh insight into the valuable role of an inexperienced art audience. We’ve since done some live performances and these have particularly engaged passers-by, creating a dynamic that privileges the viewer while framing the artists. In a recent study by the Royal Society for Public Health, Grimsby was ranked the unhealthiest high street in Britain. 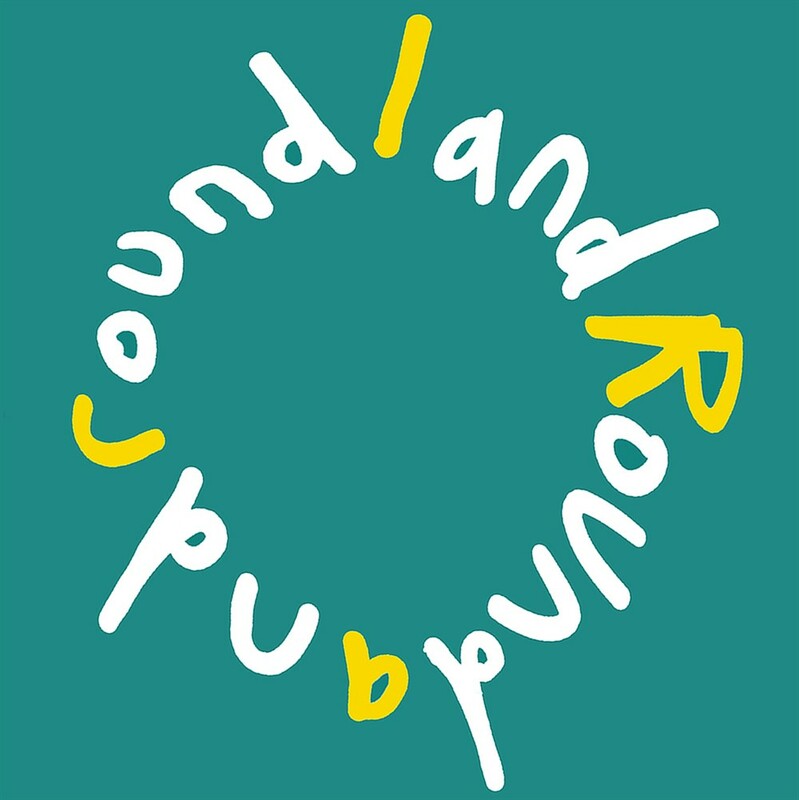 …blip is located on Victoria Street South, a once desirable shopping area known locally as ‘Top Town’, where a steep economic decline has seen the closure of many established businesses and a rise in the number of bookmakers, pawnbrokers and fast food outlets. We’d already questioned the property’s potential uses in the future through live performance so it seemed fitting that its next manifestation should be an estate agent to market itself and some of the many other commercial properties that are standing empty. Since taking on …blip we’ve thought a lot about the building’s history. From conversations with an archaeologist for the local council we know it was formerly a butcher’s shop. A local shopper told us she worked there when it was a hairdressing salon in the Sixties and more recently it was a ladies outfitter. Ridgewell and Ducklop has been our collaborative name-in-waiting for several years and it happened to be a perfect fit for a pseudo property management service. What sort of reactions have you had from the inhabitants of Grimsby? The first few installations we showed were a bit impenetrable and decontextualized for an audience completely unused to encountering contemporary art. We received quite a lot of hostile trolling online as a result of sensational local press coverage. Over time we’ve increasingly chosen to use the shop and its contents as our concept and resource and the public gradually seem less resistant. Obviously repeated exposure to anything is desensitizing, so the fact that …blip’s been present for well over a year means people have become accustomed to seeing the art and hopefully are more receptive. The advantage of showing work through the window is that there are no strings attached, people don’t risk feeling self-conscious or daunted by crossing a threshold and as a consequence many people are happy to look, ask questions or give an opinion at street level. Several projects have been purposefully humorous and self-deprecating, making them more digestible. We’ve also had several messages from former Grimsby residents with an interest in art, who’d read a piece about the future of Grimsby in The Guardian that featured …blip, had come across our blog or saw Marc’s regular posts on social media. These contacts have an acute awareness of Grimsby’s socio-economic problems and an enduring interest in its ongoing fortune. These messages were really unexpected and helped motivate us at times when an apparent lack of local receptivity was pretty unrewarding. Our projects have become increasingly focused on the adversity facing Grimsby’s town-centre, its unused buildings and the hope for a brighter future. One of our performances this year (Art/Work ball) questioned the seeming dichotomy of art and work in a community where cultural opportunities are scant and employment is tenuous, with low pay and zero-hours contracts having replaced secure plentiful employment in the former thriving fishing industry. It could be argued that the least concern of Grimsby’s general population is their cultural diet. The presence of …blip is a reminder that the potential for a place can be limited by imagination, but that people’s ideas count for something and that daily life and art aren’t mutually exclusive. We have no firm plan for what’s next, as …blip is inherently intuitive and ever more responsive to news and events in the local area. Our proposition is simply the definition of ‘blip’ – to be an unexpected, minor, and typically temporary deviation from a general trend.